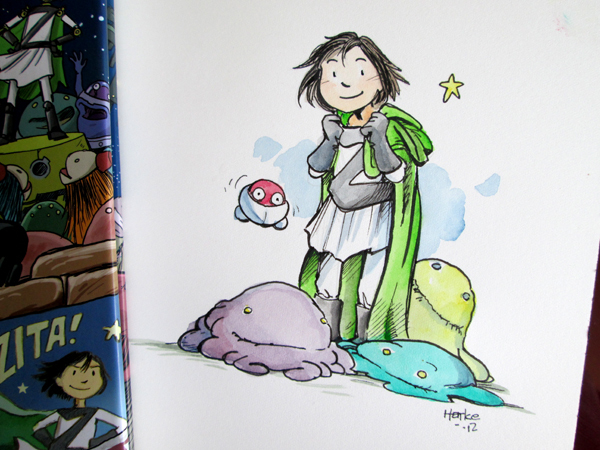 Art and Adventure: Jolly Raffle Contest Time: Legends of Zita the Spacegirl! 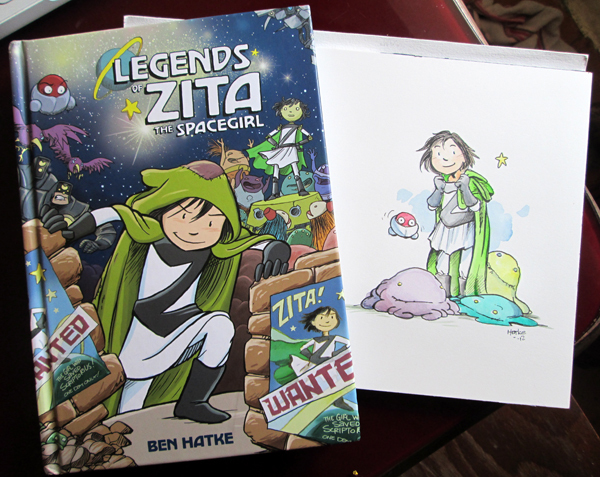 Jolly Raffle Contest Time: Legends of Zita the Spacegirl! It’s been a long wait (for me at least) but in just three short weeks Legends of Zita the Spacegirl will be released. I’m excited! And I kinda hope you guys are too. . . The STILL PRETTY GREAT SECOND PLACE WINNER will receive a PAPERBACK copy of Legends of Zita and a bit of concept art. To enter all you have to do is leave a comment in the comments section for this post. Be sure to leave some kind of name! “Anonymous” can’t win. Wait, what’s that? You want to increase your chance of winning? Mentioning the book, linking to this blog or Zitaspacegirl.com or otherwise spreading the word via social media (twitter, Facebook, Google+, blogs, etc) is worth TWO extra entries. (three entries is the maximum). The contest closes ONE WEEK FROM TODAY. Entries will then go into a randomizer. Afterward I will post the name of the contest winners!